About 20 cm. in dia. and 45 mm. wide turned and carefully balanced, mounted on a horizontal shaft, held in ball bearings. The wheel is marked and pointer is fixed to the bracket. The bracket has four holes and can be fixed to the wall. Established in 1973, we Edutek Instrumentation an ISO 14001:2004 Certified Company. We Edutek Instrumentation take pleasure in introducing ourselves as one of the leading Manufacturers, Suppliers, Importer and Exporter of Educational Products, Medical Products, Healthcare Products, Hospitals, Agricultural, Food Processing,Engineering & Electrical, Industrial Products and Supplies, Construction Materials and Equipment, Chemical, Automobile, Solar, I. C. Engine Test Rigs & Turbines, Engineering Training Equipment, & Microscope Equipments. The company specializes in customized product development, bulk quantity supplies strictly as per scheduled deadlines, such as in MOE, MOH, IDA funded projects. In fact, the company has many global projects and tenders of World Bank, ADB, UN, UNDP, UNICEF, UNESCO, WHO etc., to its credit, which were spread over different countries in the world. Edutek Instrumentation is a business organization, specializing in many products and markets. The export performance of the Company and its efforts to serve the nation has been recognized by the Government Of India. We are completely dedicated towards the export, which is spread all over the globe, with the major chunk of exports to USA, middle east, Europe (France, UK, Spain, Germany, Portugal etc. ), South Africa, Malaysia, Thailand etc., to name a few. Edutek Instrumentation- 90,000 Varieties of Latest testing, industrial, engineering, laboratory Instruments. We have experience in this industry since 1954, managed for 3 generations,Edutek Instrumentation has a history of growth and development with a number of notable milestones. Today we stand as one of the biggest industrial department stores in Asia registering our name in the book of records. 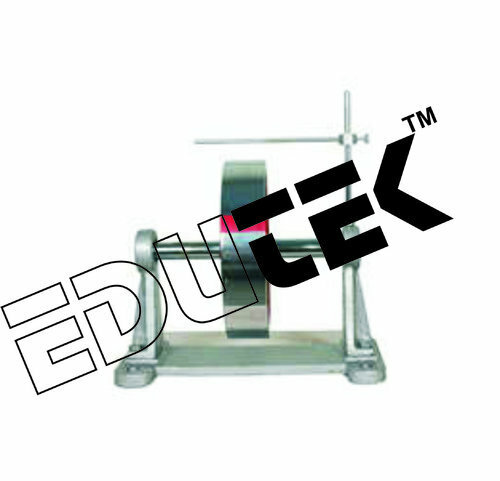 Edutek Instrumentation are one of the biggest Manufacturer of Electronic Training Kits, Higher Science Educational Instruments, Physics, Chemistry, Biology, Lab ware, Laboratory Glassware/Plastic ware, Microscopes, Electronics Instruments, Electrical Instruments, Mechanics Instruments, Vocational and Technical Educational Instruments, Civil Engineering Instruments, Laboratory Chemicals/Consumables, Biotechnology, Engineering, Polytechnic and Educational Equipments for Schools, Colleges and Universities. Our prime targets are equipments for educational labs, pharmaceutical labs, medical labs, Universities Lab. We follow a methodical approach for efficiently serving our clients with flawless, durable and dimensionally accurate products. In addition, our clients have placed their trust in our ability to customize and deliver bulk orders within a committed time frame. Owing to our market credibility, financial stability and material & human resources, we have been successful in grabbing some valuable international tenders. In addition, responsive communications and easy banking facilities employed by us, have position our organization as a futuristic establishment in India, USA, Mexico, Germany, Australia, New Zealand, Panama, France, Philippines, Egypt, U.A.E., Saudi Arabia and Taiwan. We are looking for foreign enquiries.